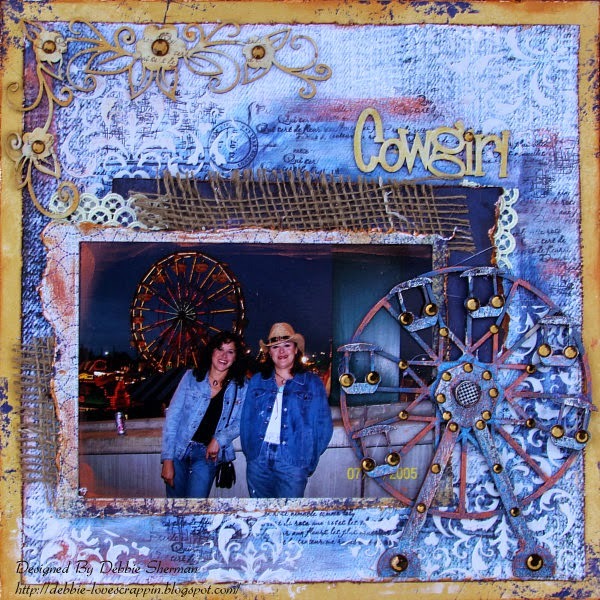 What do they have in common you ask, well the layout is about a couple of sweet cowgirls I love...my youngest sisters and the chipboard helped embellish it perfectly! Hi! Debbie here today to share this special layout of my youngest sisters. Every year we have an Old West celebration with rodeos, PBR and night shows. I took this photo as we were leaving a night show and the carnival ferris wheel was all lit up, it was a perfect photo opportunity! 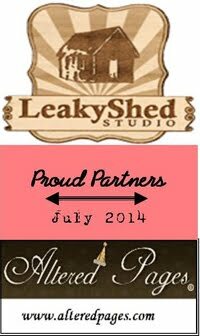 When I saw this chipboard ferris wheel by The Leaky Shed Studio my mind went straight to this photo!! I had my layout already finished in my head!! Of course the chipboard word cowgirl and the Flower Leaf corner flourish added the perfect final touches!! 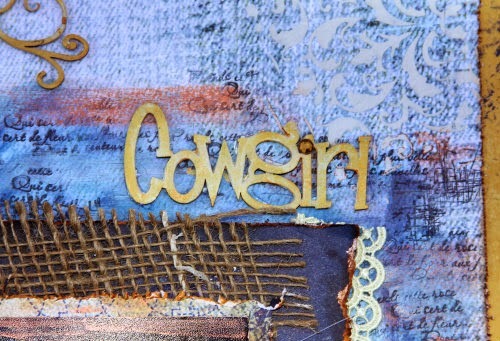 To finishes these chipboard pieces I painted the flourish and cowgirl with Silks Yellow Rose. 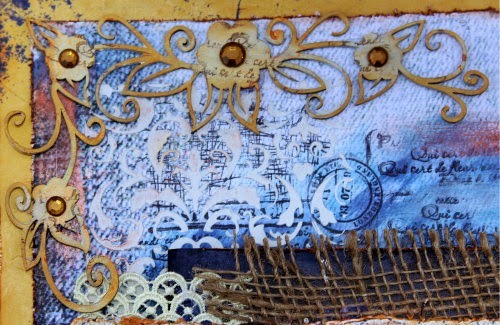 I stamped the flourish with a script stamp and then highlighted it with Inka in Copper. I painted the Ferris Wheel with Silks Azurite. I then highlighted the Ferris Wheel with Copper and Antique Silver Inka and added a copper brad to the center and embellished all pieces with some adhesive gems. This is gorgeous! 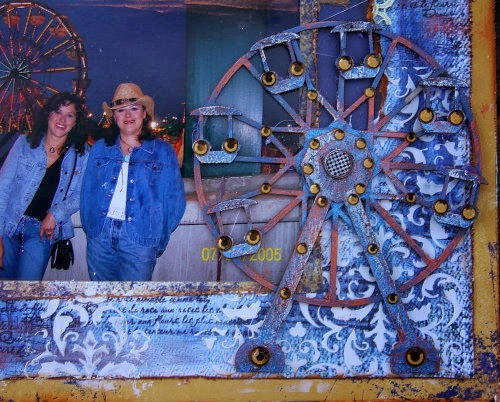 LOVING the colors, the burlap and the ferris wheel!!!! Tracey thank you for your sweet comment!